While walking around #ISE2017 with the $20 gift certificate that I won for my DSS SUMMIT presentation on Latino culture, the gang and I went to get tacos from the RAI food court cafeteria. After that though, Jose Avios saw a ‘Make Your Own Music Video’ booth next to the Sennheiser stand and was determined that he would create his very own music video. 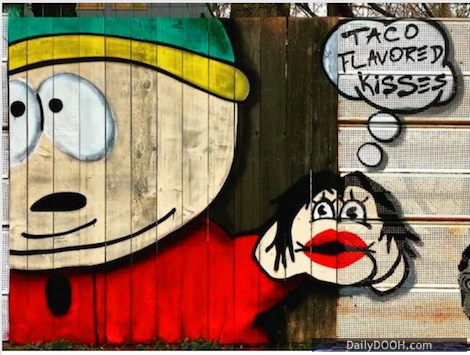 with my taco-flavored kisses! Taco taco. Jose’s video, which as you can see from his lyrics above (though we can’t help thinking that we’ve heard them somewhere before) is obviously all about his love for Mexican food. We think it is destined to become a hit! This entry was posted on Thursday, February 9th, 2017 at 23:19 @013 and is filed under Scuttlebut. You can follow any responses to this entry through the RSS 2.0 feed. You can leave a response, or trackback from your own site.